Pete Davidson It's Written in Ink ... I'm With Ariana Grande!!! 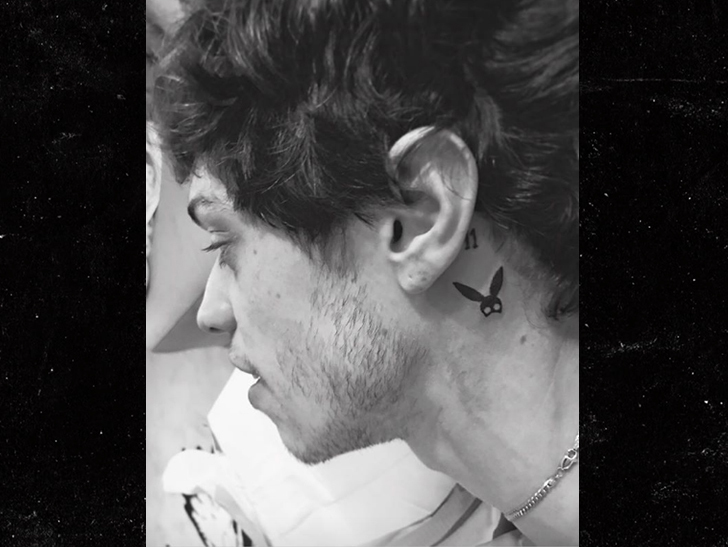 Pete Davidson's already taking his relationship with Ariana Grande to the next level ... with some permanent ink. The "Saturday Night Live" comedian got a tattoo on the side of his head -- right behind his ear -- of Ariana's legendary black bunny ears mask from her "Dangerous Woman" album cover ... it's kind of her unofficial logo. 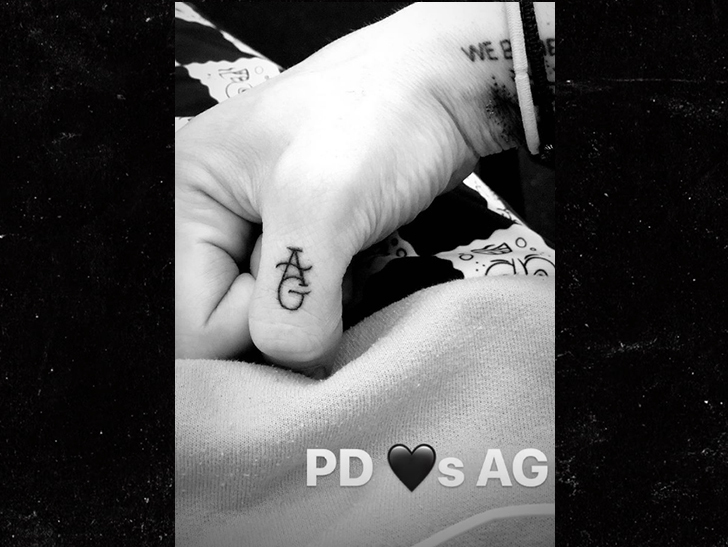 Pete also got Grande's initials inked on his thumb. As we reported ... the new couple's been sharing pics together on social media, including one of Pete hugging up on Ariana and kissing her on the cheek. We're told tattoo artist London Reese from The Black Lantern in Dana Point, CA did the artwork for Davidson somewhere in L.A. 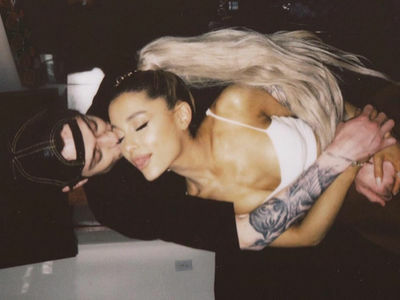 Both Ariana and Pete recently split with long-term partners, but it seems pretty evident -- they're happily moving on ... quickly.